Got art? The Listel Hotel in Vancouver does. The Listel bills itself as Vancouver’s most “art-full” hotel, a moniker that’s well-deserved. From the hotel entrance and lobby, to the corridors and guest rooms, the Listel is filled with original contemporary art. The Listel isn’t a luxurious, high-end property, but it’s an excellent value for its central location, its stylish restaurant, and its comfortable, distinctive, and art-filled rooms. The low-rise Listel divides its 129 rooms into three main categories. I’m partial to the First Nations artwork and the clean modern lines of the cedar and birch furnishings in the “Museum” rooms, decorated in partnership with the Museum of Anthropology at the University of British Columbia. 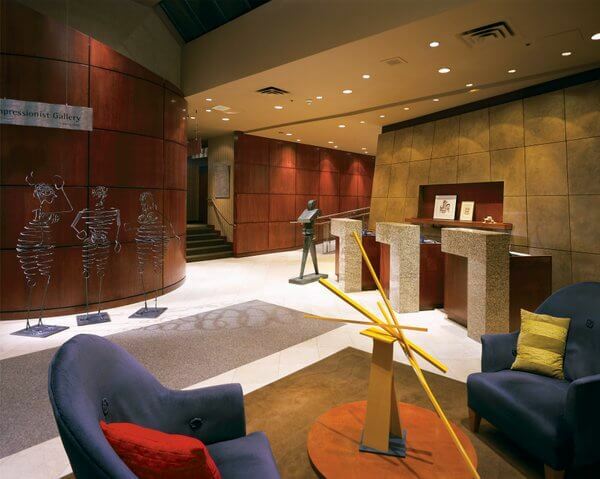 The 50 museum rooms (above), located on the 3rd and 6th floors where dramatic First Nations masks greet you when you exit the elevator, are the hotel’s mid-priced units, although their sleek, simple West Coast style seems more upscale. The top-end doubles are the “Gallery” rooms (above), on floors 4 and 5. They’re more eclectic, pairing traditional dark wood furnishings with contemporary artwork curated by a local art gallery. You never know what type of art you’ll find in these rooms, but that’s part of the fun. 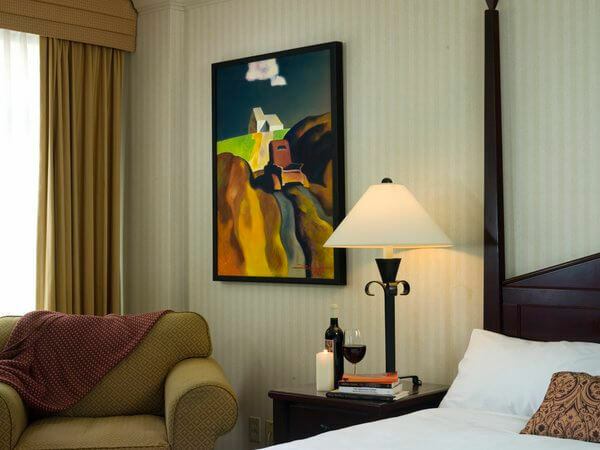 The Listel also has several two-room suites, which are all individually decorated, and like the Gallery Rooms, feature unique contemporary artwork. The Listel’s cheapest rooms are the standard units on the second floor (above), which are perfectly fine, if more generic than the artistically appointed Gallery and Museum rooms. In all the rooms, you’ll find copies of The Vancouver Stories, a book of West Coast tales by Canadian writers, along with several Canadian arts and culture magazines. I also appreciate the convenient bedside lamps and work desks. Bathrooms, while small, are functional and modern. The Listel strives to be eco-friendly. Rooftop solar panels provide supplemental energy, and the building is a “zero waste” facility — nothing goes into a landfill. All the guest rooms have a recycling box and even a discreet composting bin for food and other organic waste. The adequate fitness room has several cardio machines and a universal gym. For a more serious workout, ask for a complimentary pass to the better-equipped Steve Nash Fitness World Express club, three blocks away. Wi-Fi is available throughout the property. It’s not free, but it’s covered in the hotel’s “facilities fee,” which is roughly five percent of the room rate. The facilities fee includes not just internet access but also local and North American long distance phone calls — a definite convenience for American and international travelers who don’t have a Canadian cell phone. Numerous restaurants line Robson Street and nearby Denman Street, within walking distance of the hotel, but it’s definitely worth checking out forage, the Listel’s farm-to-table dining room. Emphasizing local ingredients and sustainable suppliers, forage serves an eclectic assortment of small plates, which the menu classifies as snacks, land, sea, and soil (vegetables and grains). 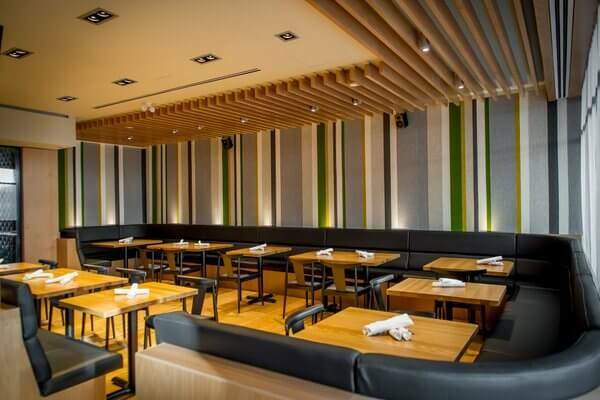 Casual forage is quiet enough for conversation, perhaps in part due to the sound-absorbing — and visually striking — striped felt that lines the back wall. The hotel offers room service for breakfast only, but you can pop down to forage for a drink or a snack. Forage serves breakfast and weekend brunch, and it’s open nightly for dinner starting at 5pm. 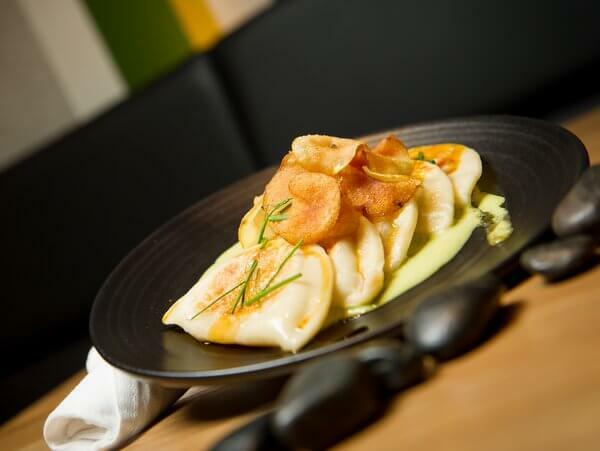 The same chef also runs Timber, a fun Canadian-themed pub and eatery next door, where the menu includes fried cheese curds, perogies, and Montreal-style smoked meat sandwiches. Located on Robson Street, the city’s main downtown shopping street, the Listel is convenient for either business or leisure. It’s about a 10-minute walk from the Vancouver Art Gallery, and you can walk to the convention center or Stanley Park — Vancouver’s massive urban green space — in under 20 minutes. Leave your car behind, if you can. You won’t need it to explore downtown, and the Listel’s nightly charge for parking (including a hefty 27.05% parking tax) is CAD$36.84. 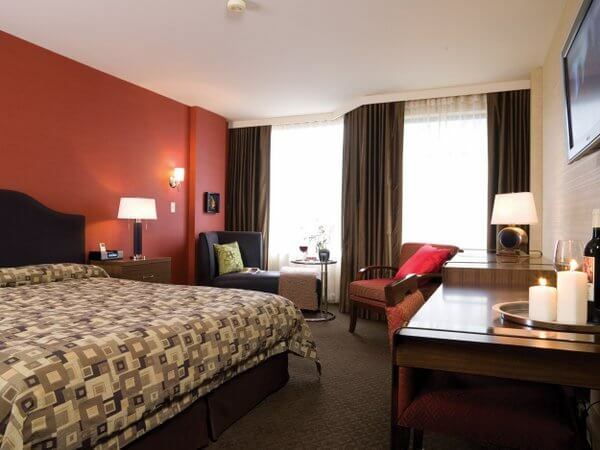 The Listel’s room rates, though, represent a great value, particularly in winter when doubles run CAD$135-157, and special promotions — like those offered during the annual Dine Out Vancouver festival — can bring the price even lower. 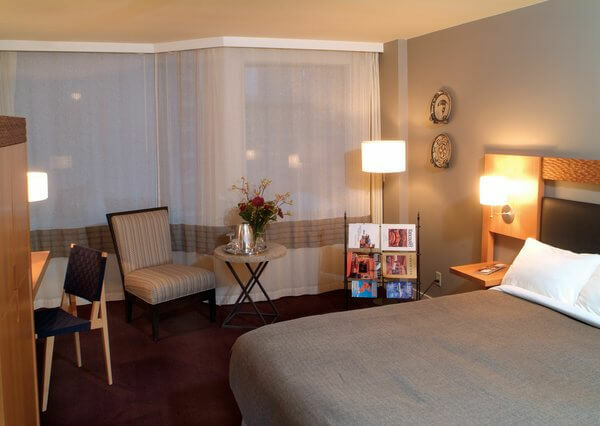 In the busy summer season, double rooms start at about CAD$279. The Listel may not be a deluxe property, but its comfortably-appointed rooms have style. And yes, they’ve also got art. Book online with Hotels.com or Priceline. Article by Vancouver-based travel, food, and feature writer Carolyn B. Heller. Hotel and restaurant photos courtesy of the Listel Hotel.